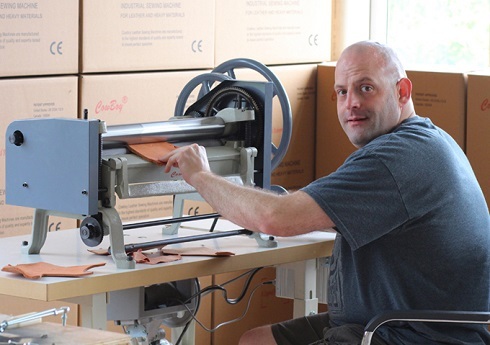 CowBoy is making more and more leather craft hand tools (leather splitting, edge skiving, die cutting, paring and embossing and sewing) for worldwide leather crafters and saddlers. 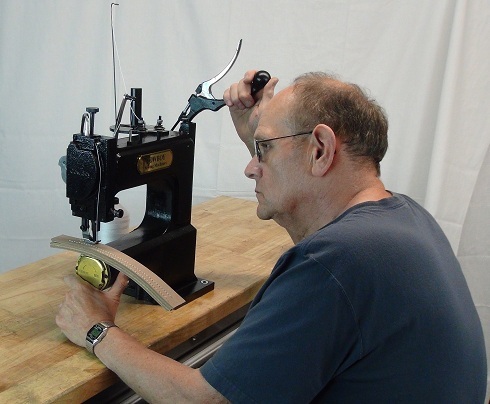 Whether you're making leather projects for fun, gifts or reselling, you'll find the leathercraft hand tools necessary for whatever leather project you have in mind. 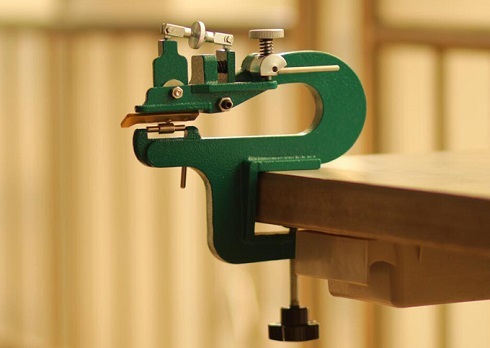 The CB-800 leather splitting and skiving machine is an excellent choice for the leatherworker on a budget that requires a very sharp, efficient leather splitting machine for doing a multitude of leather splitting operations around the workshop. 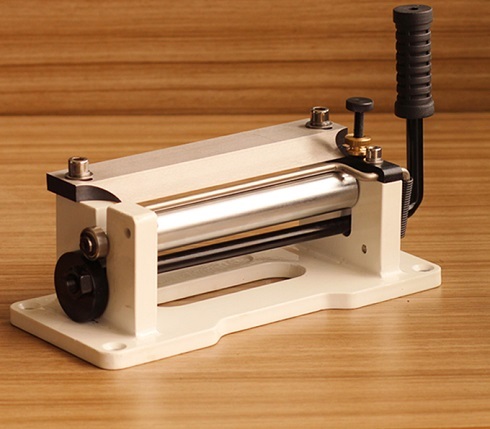 This an excellent leather crafting tool for fast and professional embossing of belts, collars,straps and other leather products. 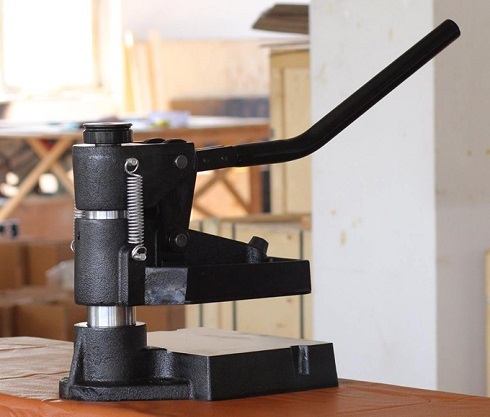 You will decorate your leather in no time with the use of pro-embossing machine. 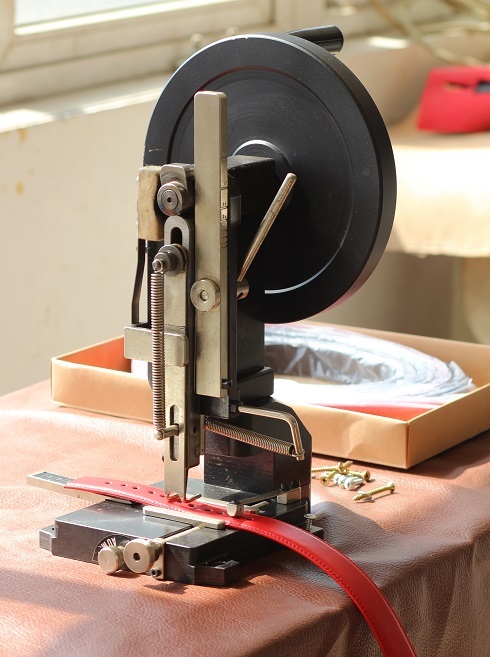 It is a must have for all engaged in leather belts ans straps manufacture. 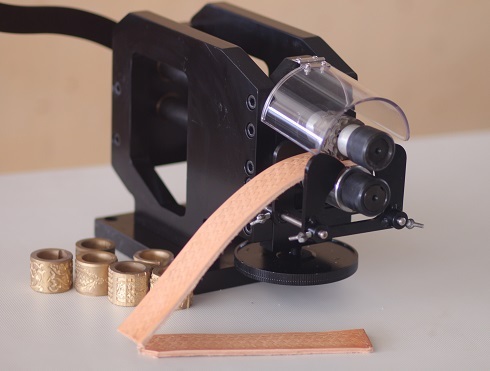 This is a fantastic leather crafting equipment if you want to make embossed belts, fits a variety of patterned embossing rollers available separately. 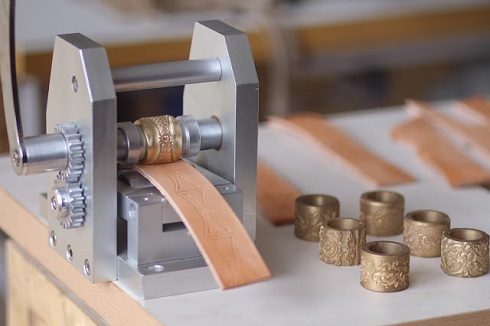 Belt blanks are passed through the rollers to be embossed. 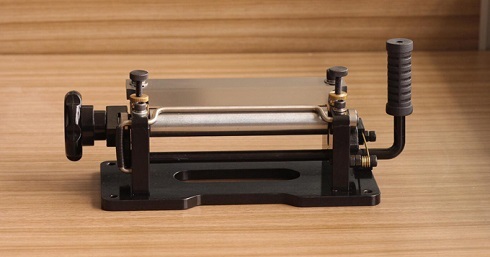 The top and bottom roller feeding mechanism guarantees perfect emobssing even with very thick leather belts. We can custom made any embossing pattern rolls according to your design!! The Cowboy Model CB 8020 is among one of the largest stationary blade splitters ever built for use in leather shops and by leather hobbyists.The CB 8020 is rated to to split approximately 15-16 inch wide pieces of leather in any length. 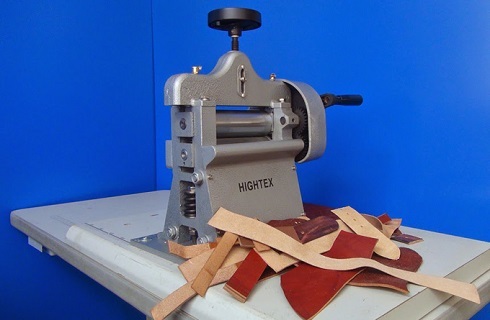 The machine excels at splitting thick leather and works down to leather that is around 6-7 ounces thick before splitting. 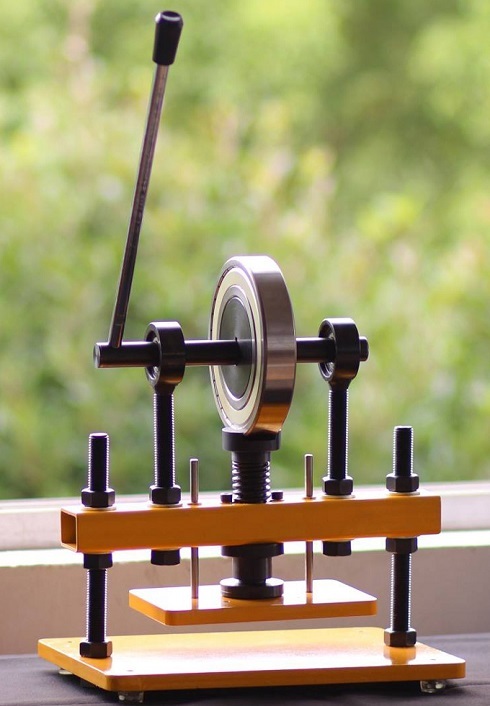 The micrometric thickness adjuster allows the machine to split as thin as about 1 ounce off at a time up to 12 ounces in a single pass.